Open reader view Dreams and Dreamers: Is that you? Confession here. Usually when I write a column, it is about therapy stuff that I know. And know well. Stuff that I have studied, stuff that I practice, things that I am seriously invested in. Today, I am going to talk about something I know nothing about. To be perfectly honest, the subject fascinates me, intrigues me, entices me. But yet, even though I three books on dreams in my office, including Sigmund Freud's epic work, The Interpretation of Dreams, I am as clueless now about using dreams in session as I was when I was just starting out as a newbie therapist. Even more, despite being entranced by dreams, the notes I took almost ten years ago at a Nefesh Conference (a conference geared to mental health professionals that takes place yearly), in a workshop given by Dr. Nachum Klafter, which seemed incredibly clear and lucid when I sat in his workshop, now seemed almost Greek to me as I tried to incorporate his teachings into this column. But clients often say to me, “I had a dream, Mindy. You want to hear it?” And of course my answer is yes. I am curious to hear. Of course. And I listen. But I do not know what I am listening to, what I am listening for. One day, I hope to understand more than I do now, but because dreams inevitably come up in the therapy room, I figured that it would be all right to admit to my lack of knowledge in this area, and learn—together with my readers—the use and meaning of dreams in the therapy room. 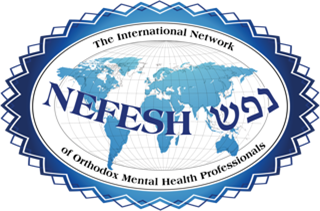 When I was an intern at Tikvah at Ohel, my supervisor was an incredibly brilliant and skilled clinician who had trained both in Russia and in the USA as a therapist. Galina was the first one who introduced me to the use of dreams in therapy. I remember my frustration with the very first client I had ever worked with, an elderly client whose life seemed an endless round of difficulties with little solution in sight. And she would talk about the same three topics over and over and over, foiling my attempts to help her. “Encourage her to talk about her dreams,” Galina suggested. I tried. Honestly, I tried. But I had no idea what to do past the initial recitation of the dream. I rolled my eyes (metaphorically, she was still my boss after all). A dream could expose me like that? Nonsense. I nudged her and nudged her, badgered her and cajoled until she gave in. I gave her a dream I had recently dreamed. Some silly little dream that meant nothing to me. She began to ask me some questions. Questions like what seemed out of place in the dream, if some detail I had offered seemed familiar in my real life, past or present; what another detail may represent to me...and suddenly, I backed off. It was as if a part of myself I had hidden even myself had become uncovered. Exposed. And I had enough. I drew back with a laugh and our little dream supervision came to an end. I never went back to it, but after ten years of dream notes sitting in my drawer, I figured that I may as well talk about it. And maybe, maybe, some client will tell me, “I read that dream column of yours, Mindy. Let's do some dream work.” And we will. While there are many ways to understand dreams, psychologically, the model of dream interpretation is that dreams are considered to be motivated by wish-fulfillment, and the content of the dream is created by “day residue”; by whatever has happened within 3 days of the dream. Additionally, because a person attempts to hide these wishes even from himself, the content of the dream is distorted so as to conceal these wishes even from the dreamer himself. Later additions to this model expanded upon the dream content, to opine that any aspect of the dream reflects a part of the dreamer. Meaning, the dreamer is manifest through each and every part and person in the dream, even if there are many people or things in the dream (various people, animals, objects). Traumatic dreams, which are nightmares that repeat a traumatic experience, now are considered to be in their own category; not of this dream model. Although other types of nightmares, are considered to be failed dreams, dreams that are thwarted from expressing the unconscious wish. The purpose of dreams then, according to analysts who seriously address them in therapy, is to interpret them to allow the wish to be manifest. While it is true that science can explain how dreams occur, using definitions like, “dreaming is bursts of electrical activity in the brain that occurs during REM sleep,” and explain the workings of these electrical charges as experienced by the dreamer as images, emotions, sensations, and narratives; what stumps science is the psychological underpinnings of the dream. Why a particular dream is dreamed at a specific time uniquely by individuals. Dreams have certain qualities that once understood, simplify (ha!) dream interpretation. Here are some. Condensation is when a single symbol in a dream represents many different things. Visualization is when a thought is represented by something concrete, physical. Symbolism is when a person, action, or idea is represented by a symbol. Metaphor is when one aspect of a dream is a metaphor for something else. Metonymy is when a piece of something represents a whole. And as mentioned before, every aspect of the dream represents the dreamer in some way. An important thing to know is that the day residue of a dream is the nucleus of the dream around which the content is spun, but is not part of the interpretation at all. So how does one begin to interpret a dream? First, put your dream into words. Find the symbols. Free associate to those symbols or details. Then you decide what the stuff in your dreams mean. Don't rely on stereotypical symbols, like a fruit means children. It's more important what significance you attach to the parts of your dream than what anybody else says. Second, know that psychology says that often whatever you find in your dreams may be exactly the opposite of what it means to you. So don't get fooled by stuff that is in your dream. Look for opposites in meaning. And here's one more thing. You don't believe that you dream? Or, you know that you dream but you don't remember a single thing? Here is what you need to do. Keep a dream diary. Near your bed, keep a pad and pen. The second you wake, before you are even consciously awake, begin scribbling down your dream. The first few nights, you will probably only jot down half sentences, elusive sensations or tidbits; but after a few nights, your dreams will become richer in content and you will become more proficient at capturing them. I know. I did it for a few months. And while I never attempted interpretation, they remain mysteriously familiar to me. In the world of dream therapy, therapist are told to pay attention to the very first dream a client brings into session. It is the rawest and most primitive of dreams that will follow.